The “NFL Play 60” program emphasizes “Healthy Eating” and the importance of physical activity for at least 60 minutes every day. 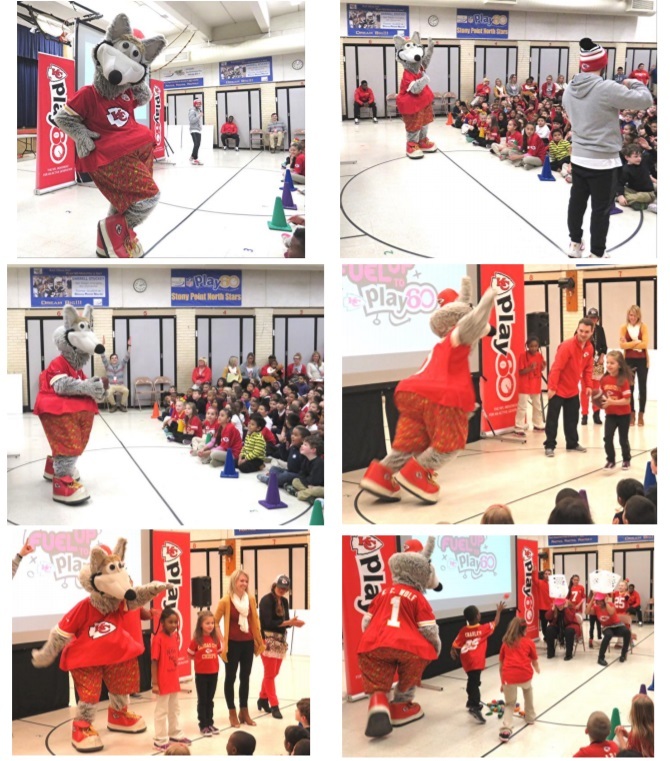 During the assembly "KC Wolf" involved students in many examples of physical activities and former Chief, Shawn Barber, spoke to students about the importance of eating the right foods for all meals. 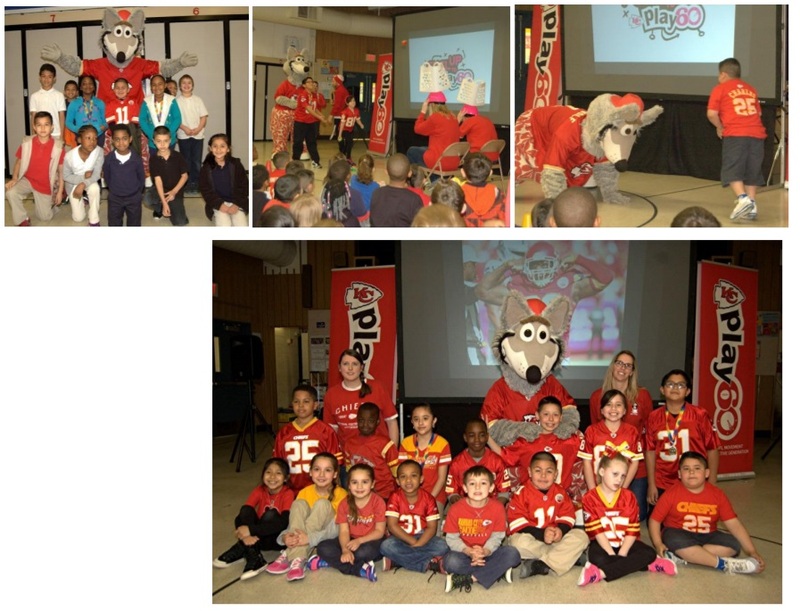 Special PE Project: Kansas City Chiefs Mascot "KC Wolf" Help "Kick Off"
Kansas City Chiefs mascot, "KC Wolf" recently visited SPN on February 16th, 2016 to assist students in learning more about the importance of the NFL Play 60 program. 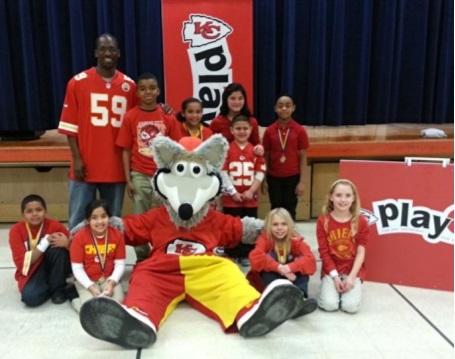 Stony Point North received a grant from the NFL Play 60 program again this year for the third consecutive year. 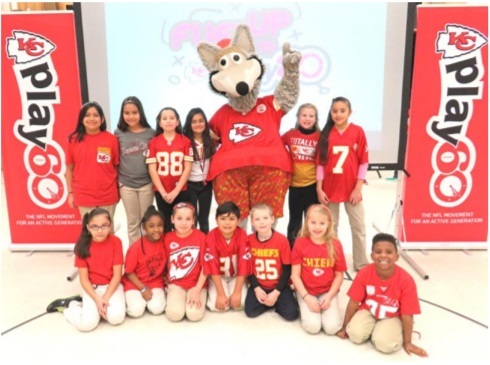 SPN is the only school in the entire state of Kansas to have received a grant from the NFL Play 60 program for the past three years in a row and is the only school in the KCK School District to be an NFL Play 60 school. 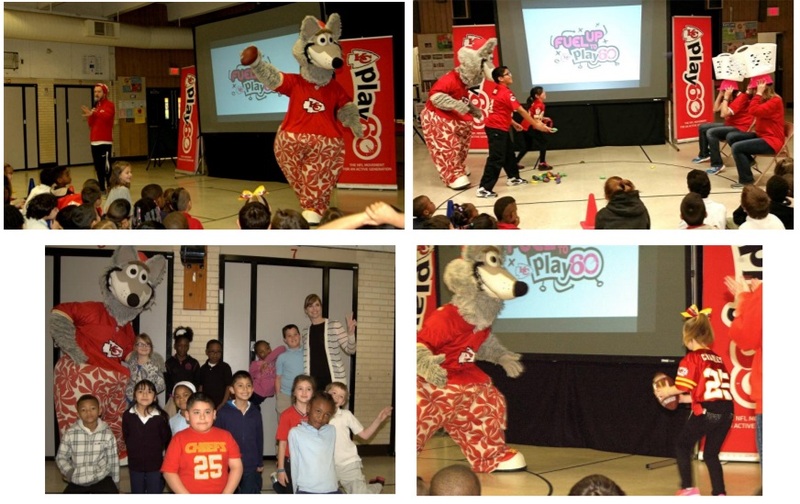 students, teachers, and our principal, Mrs. Martin, to help demonstrate the focus of the NFL Play 60 program. 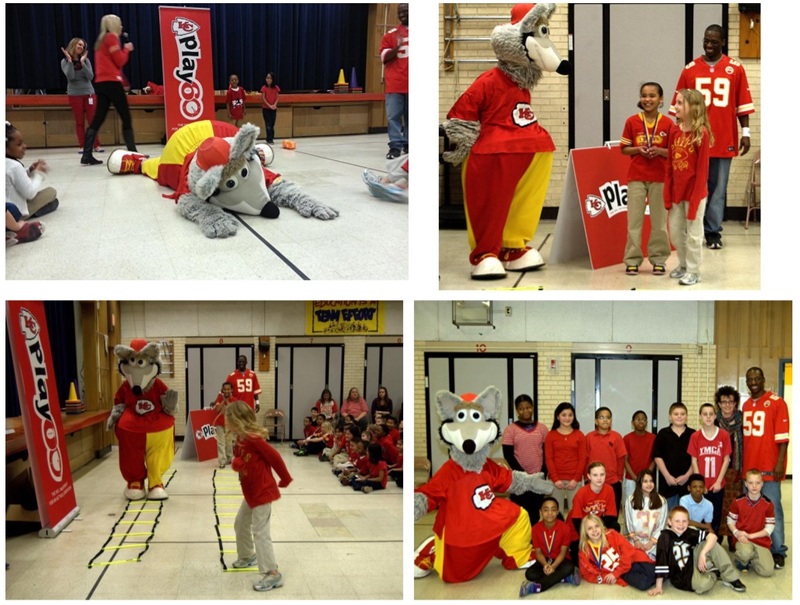 The two basic parts of the “Fuel Up to Play 60” program; are to increase physical activity to at least 60 minutes a day and to eat healthy at every meal.